I love nights like the one I had last night. After a rather grueling day at work, my coworkerfriend and I decided it was a good idea to head out to happy hour before going home. We had things to discuss like analyzing a recent date, Vegas shenanigans, upcoming trips and other important and pressing topics. 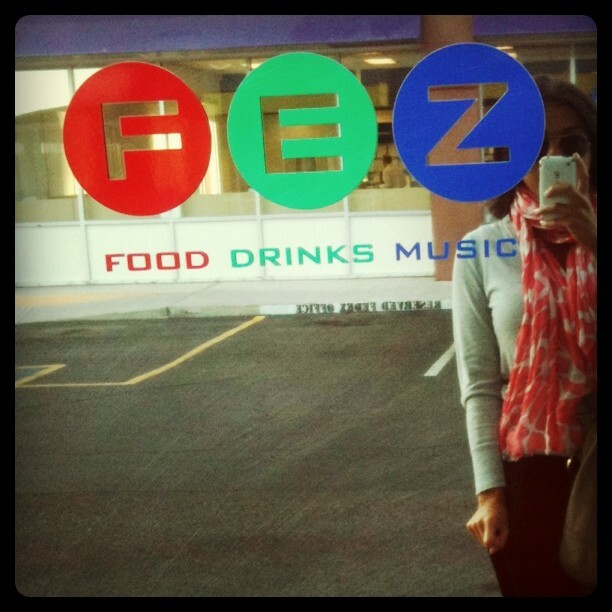 We went to FEZ on central, which I'd never been to before. Turns out their $3 happy hour wine and I are going to be very good friends. That pour! It is magnificent! And overflowing! Lots of chatting, laughing, wide eyes and unrepeatable stories were shared. Then back home to decide what Chris and I should have for dinner. We pondered, I had no idea, nor inspiration, nor any gusto to get creative. 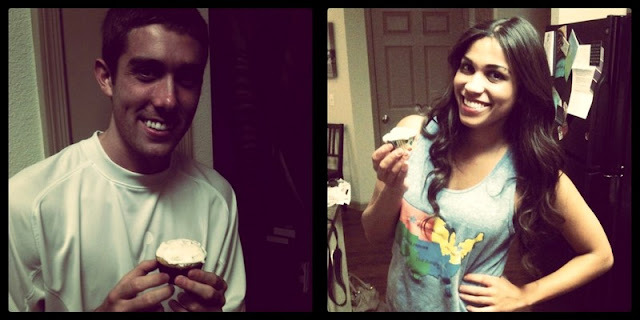 So logically, we made cupcakes. Thursday night cupcake dinner has got to be some kind of genius tradition in the making. Funfetti with rainbow chip frosting of course. At least for week 1. I've wanted to check out FEZ. What is it like? It's not too far from my casa. 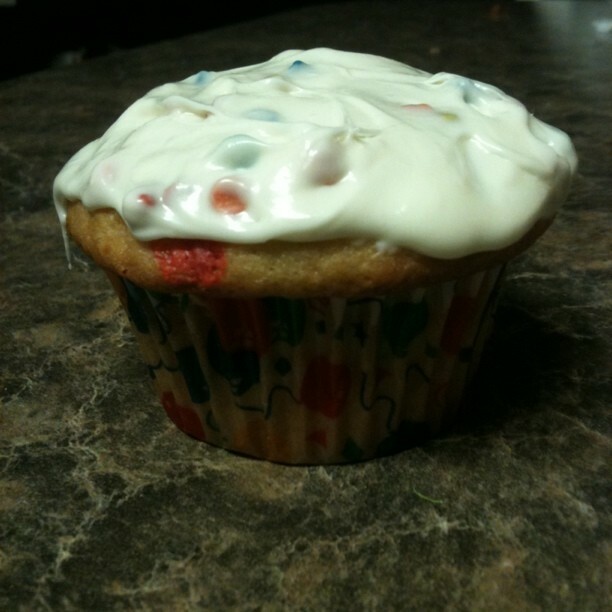 Any meal that includes funfetti cupcakes is probably the most delicious one ever!!! I really liked it! 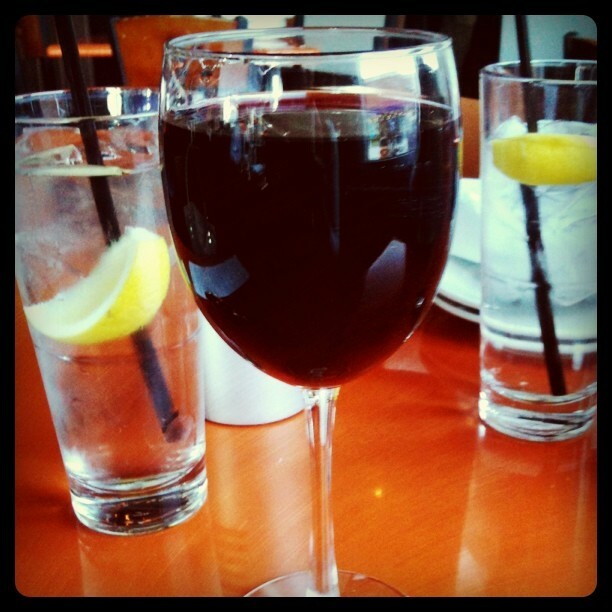 I'm always up for a happy hour. We tried the chicken phyllo packets which were delicious, and they have pretty good daily drink specials too. mmm those cupcakes look yummy! Yay for Funfetti! I think that's the only flavor of cake I actually like.